Few weeks ago, during an ordinary research in parish registers in the State Regional Archives of Litomerice, Blanka found quite disturbing records... (press F5 for loading of the records). We almost immediately started a research to know more about this family and background of such disaster. The sources available are just two - a contemporary article in Národní politika from 14th January 1903 (issue 14, page 5) and a very thorough article by Gerhard Kutnar in a Krkonoše 2003 journal (copy 3, page 30/31). All of the following places are located in the North-East of Bohemia, Czech Republic. 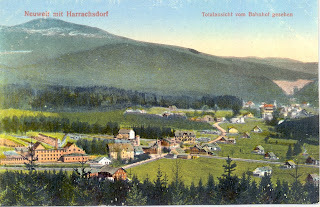 is since 1947 a part of a town Trutnov. In 2001 there lived 361 inhabitants. 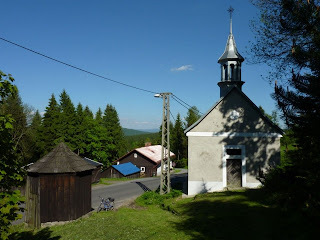 In Volanov are not many monuments - a chapel and some crosses. The original cemetery with chapel was cleared and replaced with gardens. 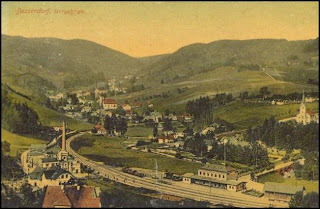 The village name reportedly originates in the name of its founder, someone called Spinek Weigel. has today almost 3500 inhabitants. 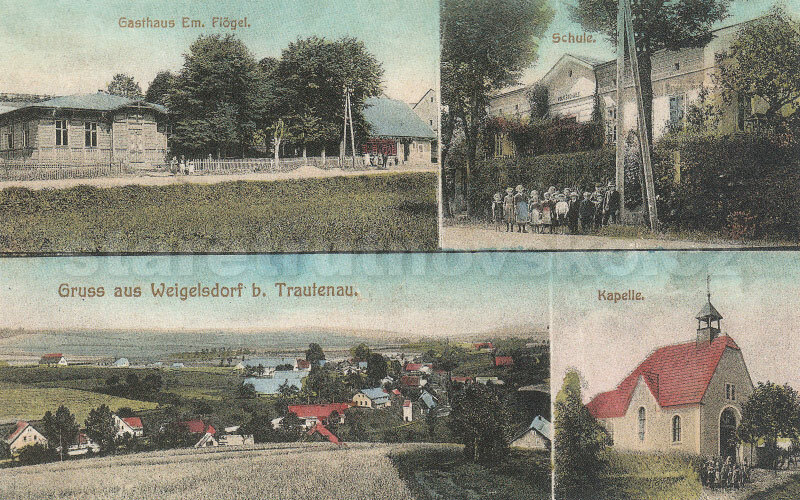 It was founded as a colony close to the river Bílá Desná (White Desná) in 1691 by Count Abrecht Maxmilian Desfours and after him, it was called Desfoursdorf, but people preferred to call the village Dessendorf after the river. The main manufacture sphere was a home glass production. This production was in half of 19th century industrialized by foundation of Riedels glass-works. Today, you can visit Riedel's villa from 1895. 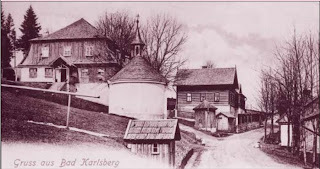 Since 1839 till the end of 19th century, there was also a spa with so called cold healing (or Kneipp Hydrotherapy). Other monuments of the town are pseudogothical church of Assumption of Virgin from 1903 and also pseudogothical old-catholic church, built 1889-1890. Desná became notorious by a dam failure in 1916, when ca. hundred houses in town area close to the river were destroyed, and 62 people killed. 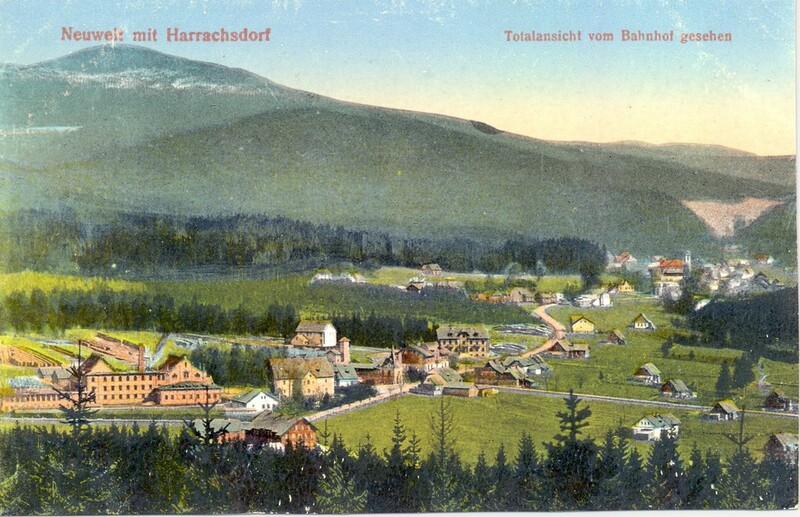 is since the end of World War II a part of town Harrachov. Nový svět is famous mostly because of its glass-works. The origin is unknown, as in 1714 (or 1712) it was founded officially, but on a place of previous glass-works (est. 1630). For our story might be important, that there are mentioned Jan, Václav and František Pohl working in this manufacture. is a small village in Jizerské hory (Isergebirge). In 2001 it had only 13 inhabitants. 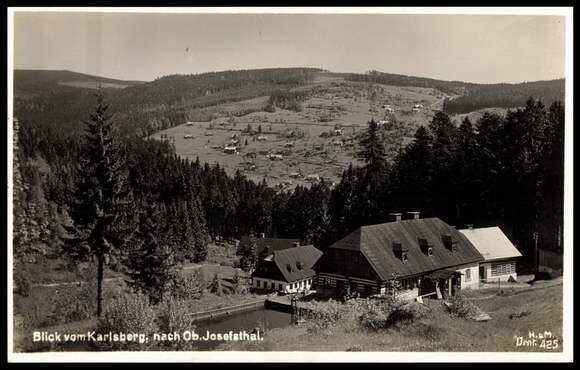 Since 1960, it is a part of a village Josefův důl. Whole the surrounding area was populated thanks to endeavour of Count Maxmilian DesFours Walderode by German settlers, whose main specialisations were timbering, charcoal-burning and flax growing. In 1700 Karlov was founded, named after Count's son (Karel = Charles). Please notice "Das Baad" - the Spa. 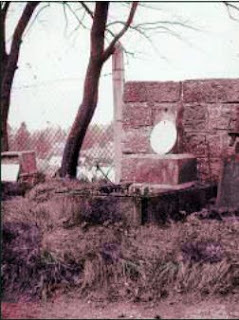 In Karlov can be found a spring, that was a destination point of pilgrimages because of its alleged miraculous water. In 1762 there was built a wooden chapel of The Visitation of the Blessed Virgin Mary, a new stone chapel was dedicated on 27th June 1803 and rebuilt in 1865. In 1753, first glass-works were built by glassmaker Mr. Weber, who sold it in 1761 to Riedels. In 1774, the building was torn down because of the disputes about wood. The remains are represented only by a vaulted cellar, now in the flooding area of reservoir of Josefův Důl. 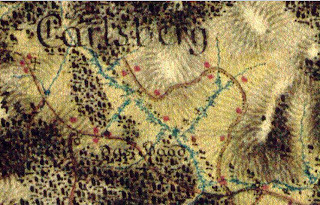 Nevertheless, a life in this area was tough, so the locals moonlighted with smuggling and conflicts with frontier-guards were common. After industrialization in twenties of 19th century the situation improved, but still some families decided to move to Brazil. Now, the village serves mostly as a holiday resort. František Amler was born on 7th February 1866 in Volanov as a son of Václav Amler, gardener, and Karolina, born Pauer. Parish registers are in Zámrsk only on microfilms, so I couldn't go any further. František became an apprentice baker. After military service (as the reorganization in 1867 abridged a military service from 7 to 3 years and assuming that our František passed it as soon as he legally could, it was during years 1887-1890) he - as all men - became a reservist for seven years, but that meant no actual duty. 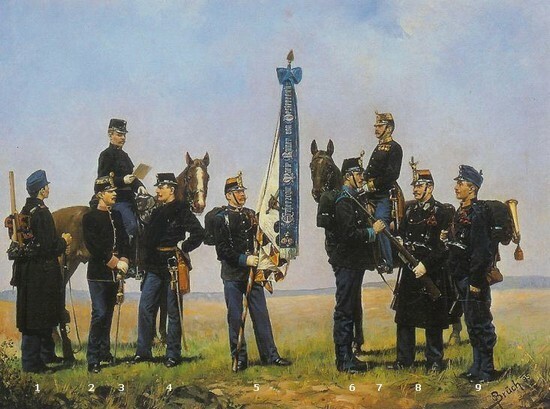 Since 1867 it was also possible to move freely (without a necessity of seigniorial permission), so young Amler got a job in a coalmine in Prusian Silesia. It could seem that he went far to another country, but very possibly he worked in close neighbourhood of Žacléř (Schatzlar), perhaps in Opawa (Oppau), today near the Czech-Polish borderline and ca. 30kms from Volanov. 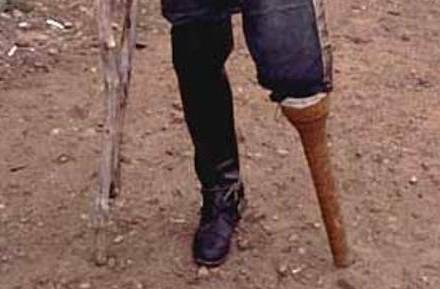 During mine accident, he lost his leg and got a pegleg. This in that time practically meant a condemnation to poverty. The poor-law from 1862 concerning also disabled people (except veterans, but even them weren't equal throughout the Austria-Hungary) solved only elementary problems, such as begging, and even that simply shifted responsibility on village, typically domicile of birth. František Amler was fortunately insured for 2000 marks, that was equivalent of 451 austrian guldens. In 1890's it was a two-year salary of a clerk, or a price for 4-5 cows. But it surely wasn't very much for a whole life with limited job opportunities, especially for a freshly widowed father of a small son, Otto Alfred, born 18th October 1892. 7th June 1896 František married again. His new wife was Pavlína Pohl, born 26th April 1869 in Desné as a daughter of Jindřich Pohl and Anna, born Simm. In the same time, they spent their money for a rent of an inn in Nový svět. Unfortunately, the times of prosperity of this area were gone. As the family grew with daughters Elsa (1898), Ella (1899) and Alma (1901), they decided the change has to be made. 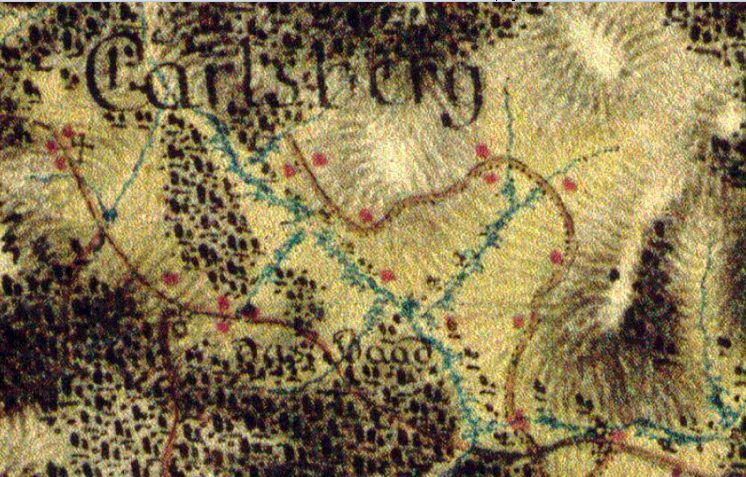 From the record of Pavlína's birth could be concluded, that her grandmother was from Karlov and there was an abandoned inn, close to the spring and spa, that seemingly promised a desired prosperity to Amlers. A decision was made, a horse carriage was loaded with a modest familiar property and a 24kms long journey begun. Unfortunately, this decision was as bad as the previous one. The business was almost nonexistent, practically no money were earned and the family was living on bread or just starving. In February 1902 the half-year-old Alma died on eclampsia (or any other convulsions) and the situations seemed to calm down for a while. In November 1902 youngest Erna is born and it seems to be the last straw. That year was also a very cold winter, in Klementinum the temperature dropped to -16,8°C on 11th December. The parents discussed their situation and agreed, that they do not want their children to be a nuisance to anybody. On Saturday morning, a neighbour Mrs. Lišková brings some milk for the starving children. No one is answering the door, so she goes home, presuming they are still asleep. She returns in 9AM, when she knows, that someone of the family has to be awake. But the house is completely silent. This makes her pretty uneasy, so she calls her son-in-law and through the unlocked door, they come in. They search room after room and finaly thery reach a bedroom of Amlers. Here they find a shuddering scenery: all the family members in beds, shot in their heads. In first bed lie 5-years-old Elsa and 3-years-old Ella, each with simple doll aside. In second bed lies the oldest, 11-years-old Otto Alfred with bloodstained hands, he was obviously defending himself and was shot twice to the top of his head. Third bed is occupied by the mother, 34-years-old Pavlína, holding the youngest, only 5-weeks-old Erna. And finally in the fourth bed lies dead the father, 39-years-old František, with 9mm cal. revolver on his chest. On the washing table are lined up 4 empty cartriges, 5 fired and one full stay in the gun. On the table close to the children bed lie two letters, both written by František, and all the cash the family has: 80 hellers (a price of 12 eggs or 4 litres of milk). Summoned MD Antonín Zuber can only state, that all the six people are dead. In next days, crowds of people came to the village to see five open coffins... youngest baby was lying on a lap of her mother, father had a peg-leg, as he wished to be burried with whole his misery. The funeral took place on Monday 12th January attended by unusually many people. Whole the family was burried into one grave according to their last wish. Not only the family ended badly - also the inn itself was considered unlucky. For twenty years no one would rent it. And when it finally found its new tenant, it burned down on Tuesday 7th January 1941. 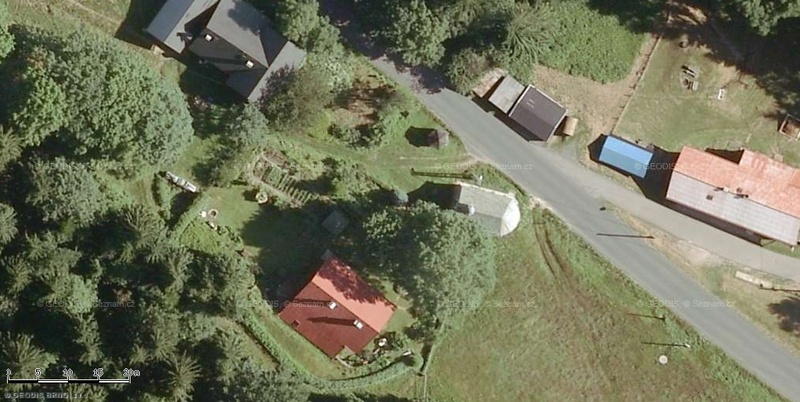 The place, where the inn was, is somewhere in between the red and black roof. Wow. What an incredibly tragic story!